Today customer's experience, if not the most important but one of the vital aspects of creating a viable business. A recent study by Drift shows how important is to engage your customers as fast as possible, it is even more crucial if they are only leads and yet to be your customers. This study on 443 companies, shows that waiting more than 15 minutes to respond meant losing nearly all of your potential leads. It also shows that most of the companies on the spectrum are likely to lose these potential leads due to delayed engagement. But why does fast engagement matters? There are hundreds if not thousands of other businesses out there doing the same thing you’re doing, so why are they going to wait half an hour for you to respond? They simply won’t. They’ll go back out there and start “Googling” similar solutions. How fast do you need to be? Well, faster than you think! 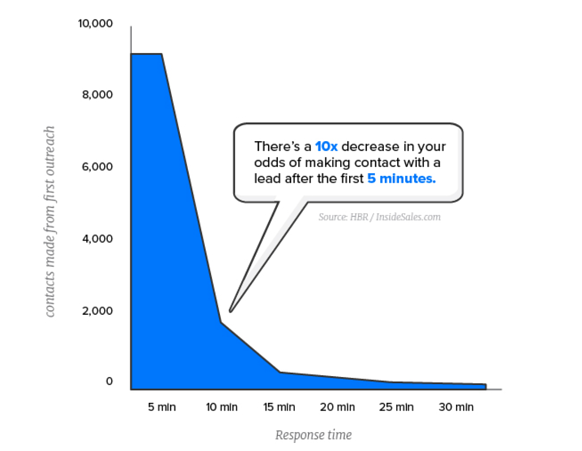 This study proved that most leads expect a response within 5 minutes to really consider your solution. The odds of a qualified lead decrease by 400% if you only double this time and response to your leads or evaluators within 10 minutes. How important is it to embrace in-app messaging? A recent study by Twillio on more than 6,000 tech solution consumers revealed that more than 66% of them expect an in-app messaging approach to contact the solution provider. This becomes extremely crucial if your business relies on customer engagement before purchase or during the trial period. That’s why more and more SaaS businesses are embracing in-app messaging solutions these days to build a robust and fast engaging platform to not only generate qualified leads, but also create a fast response to evaluators and customers. Current chat/bot solutions focus on creating the best experience for customers, however, most companies find technological gaps when it comes to the adoption of these solutions. 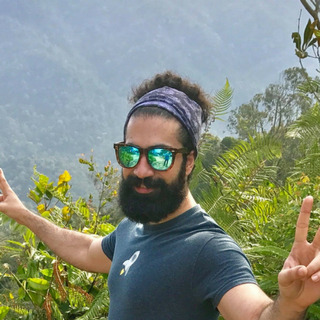 While your customer success and Sales team can focus on fast customer engagement using a conversational platform such as Drift, there is no clear escalation path when for example your support engineers discover a bug while chatting with a customer. Most teams tend to resort to the most convenient channels of communication such as Slack, Workplace or even emails to get the right people involved. The drawback with these approaches is the context gets lost, people don’t know how to collaborate and it all reflects back on the customer’s experience. To tackle these obstacles, ServiceRocket has created a close relationship with Drift to come up with a solution. 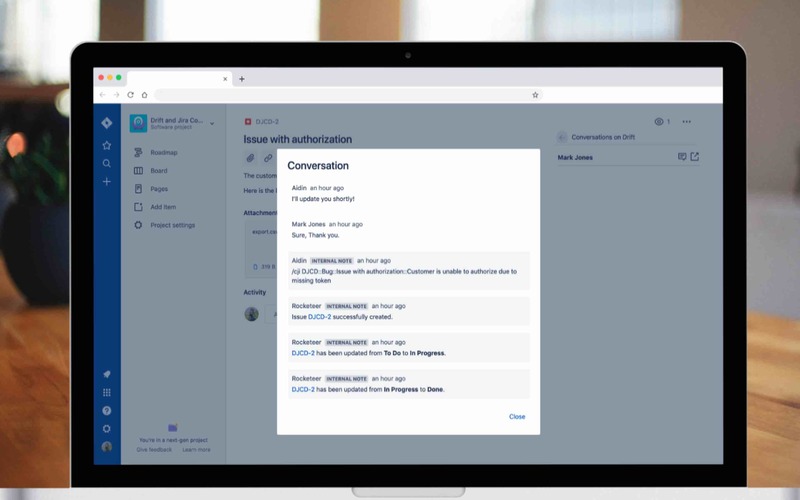 Introducing Drift and Jira Connector, it allows your Drift agent to easily escalate and create issues on your Jira Backlogs and get Jira users involved when it’s needed. Our focus has been on creating a native experience on both Jira and Drift so users wouldn’t feel the need to switch between the platforms. The Drift and Jira Connector is now available in the Atlassian Marketplace. Subscribe and try for free! Context is the heart of collaboration, whether it is your sales team addressing technical questions of your qualified leads or your support team getting help from your development team to get your new customers onboard, context is what helps any team member to easily get involve and collaborate. That's the heart of Drift and Jira Connector as well, your Jira users can easily look at the details of customers conversation within the Jira Issue, and once they have updated the workflow status of the Jira issue, the connector will send a notification to Drift agent to notify them of any changes. Customer engagement focused? We've got your back! 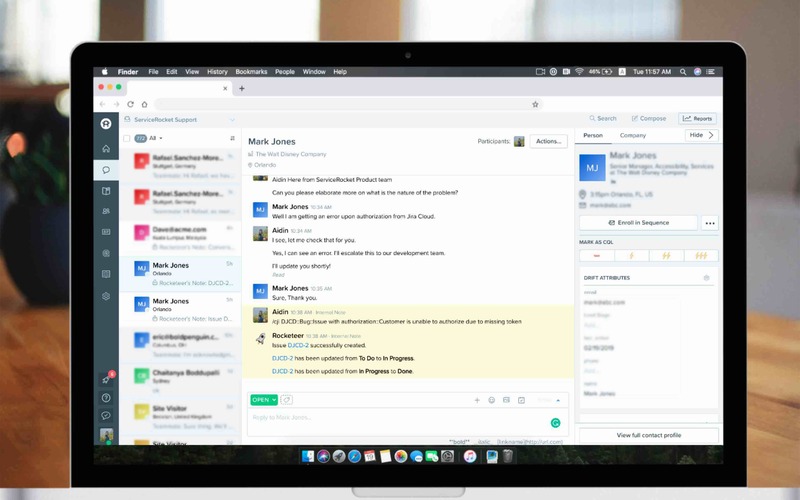 Drift is a conversational platform that connects your team with the leads, in real-time. Move away from the traditional forms and email follow ups and start interacting with your website visitors within minutes. Learn more.